Cruises are gaining serious popularity with the over 80s in the UK. Many people consider going on a cruise as a safe form of travel and sometimes neglect to take out the appropriate travel cruise insurance. This can be a big mistake particularly in the Caribbean and North America where medical bills can bankrupt you. Listed below are a number of insurance providers that cater for the older person who are looking to cover their cruise so they can have peace of mind while sailing the seven seas! 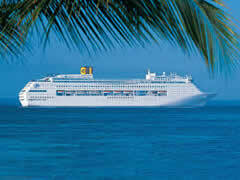 For weekend breaks to one year trips Cruise cover provided as standard! With Explorer you can choose from Single Trip, Annual Multi Trip, Winter Sports, Cruise and Older Backpacker Travel Insurance. Med Travel Insurance is a broker who have an excellent track record finding insurance for people up to 99 years old. - Get cover, even when you have medical conditions such as diabetes, arthritis, asthma, cancer, strokes, epilepsy, blood pressure and heart conditions, as well as many more. ALL CLEAR COVER UP TO 99! All clears cover any medical conditions and any age too. Their list of medical conditions that they cover is very comprehensive and many other insurers will refer their customers to All Clear when they are having difficulties having their own pre-existing medical conditions covered. Get going, as specialists in medical travel insurance, they understand the difficulties of finding the right medical travel insurance cover at the right price. When you have an existing medical condition, whether it is asthma, high blood pressure or something more serious like cancer, they can provide peace of mind and cover. Columbus offer a range of flexible single-trip policies from just £2.69 and annual policies from £22(1) covering both Europe and Worldwide destinations. All policies include cover for over 150 sports and activities. For those with a more adventurous streak, many more daring activities can be covered for a small extra premium. Saga is one of the specialist insurance and holiday providers for those over the age of 80 in the UK. - Cover most pre-existing medical conditions. - Covers any age - NO AGE LIMITS! Goodtogoinsurance.com provides travel insurance cover to travellers of any age, with or without pre existing medical conditions. They can also cover your travelling companions on the same policy. - Three levels of travel insurance cover available and No AGE LIMITS!